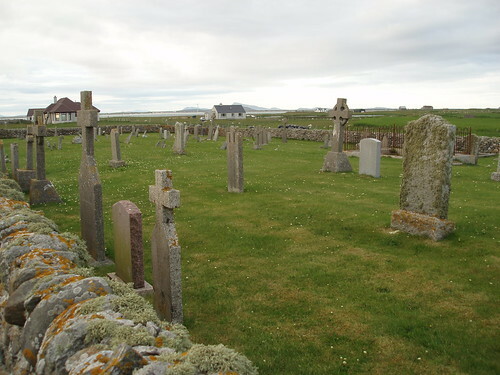 This cemetery is not signposted, and neither is the village. From the A865 road, which leads from Benbecula south into South Uist, take the road to Eochar (a mile south of the causeway). Follow this for just over two miles. Where it sweeps away south, a track comes in from the right by a house. A car could be parked here, taking care not to cause any obstruction (to road, track or house). Walk up the track for about 300 yards, then make your way to the graveyard, which can be discerned across a field to the right. 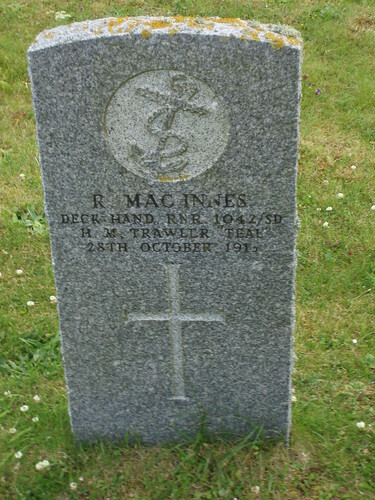 Please note that the entry to the cemetery is very tricky at time of writing (July 2009), as it has been blocked off with a loose gate, which leans against loosely piled stones. 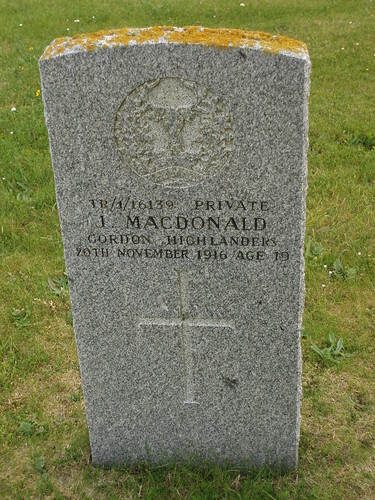 Son of Hector and Jessie MacDonald, Carman Iochdar, South Uist, Inverness-shire. 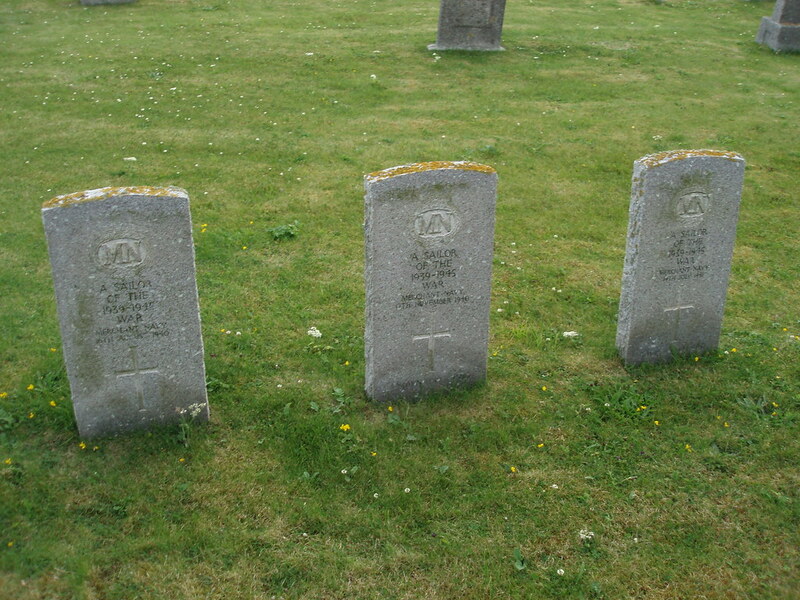 Three graves to men of the Merchant Navy, who were buried here during the Second World War - known unto God. 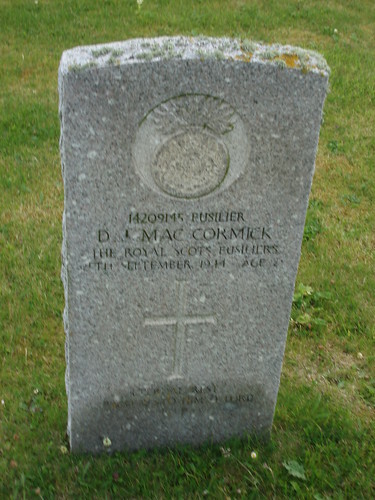 Son of Malcolm and Mary Ann MacCormick, of Eochar, Outer Hebrides. 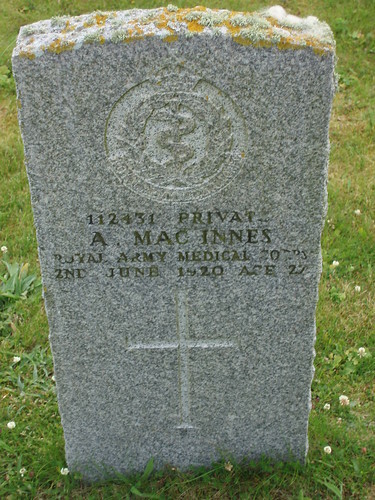 Son of Angus MacInnes, of Mary Lake Post Office, Vermillion, Alberta, Canada. 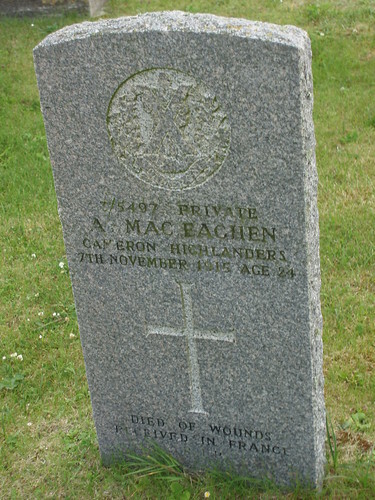 Son of Ronald and Margaret MacEachen, of Liniquie, Eochar, South Uist, Inverness-shire.